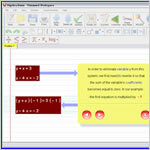 Algebra Solver will solve pretty much any algebra problem from your textbook, high school through college. 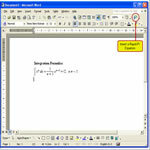 The most complete equation editor in the world. 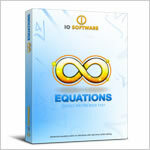 Featuring over 700 scientific symbols, with full latex and visual real time editing, an equation library and an outstanding interface, Equations! 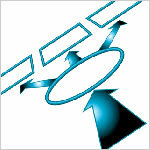 is a whole new experience in scientific writing.